Click on one of the thumbnails at right for higher-magnification images. The spaces of the scala vestibuli and the scala tympani are filled with perilymph. 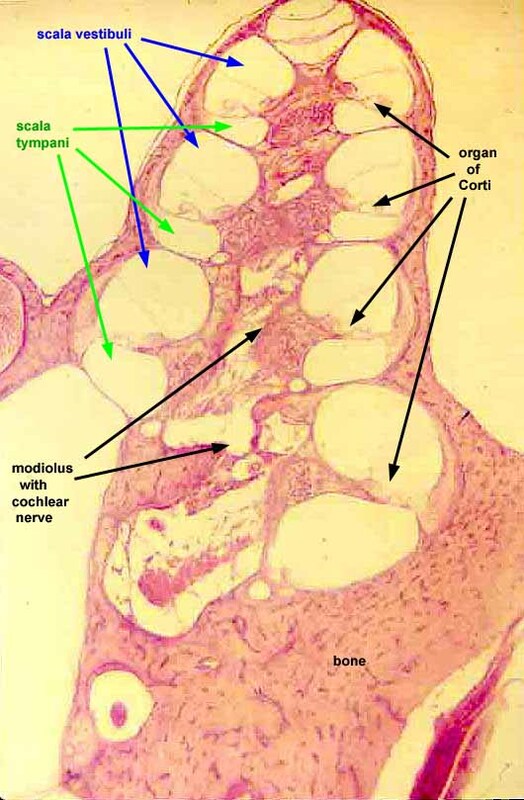 The organ of Corti is situated within the scala media (indistinct on this micrograph; for clearer image, click on one of the thumbnails).